Jac o' lyn Murphy: Your Holiday Escape - it's game time! Your Holiday Escape - it's game time! We all need an escape, especially around the holidays. For me, being with family and friends is the best way to spend time. ingenuity and logic all to escape in 60 suspenseful minutes! 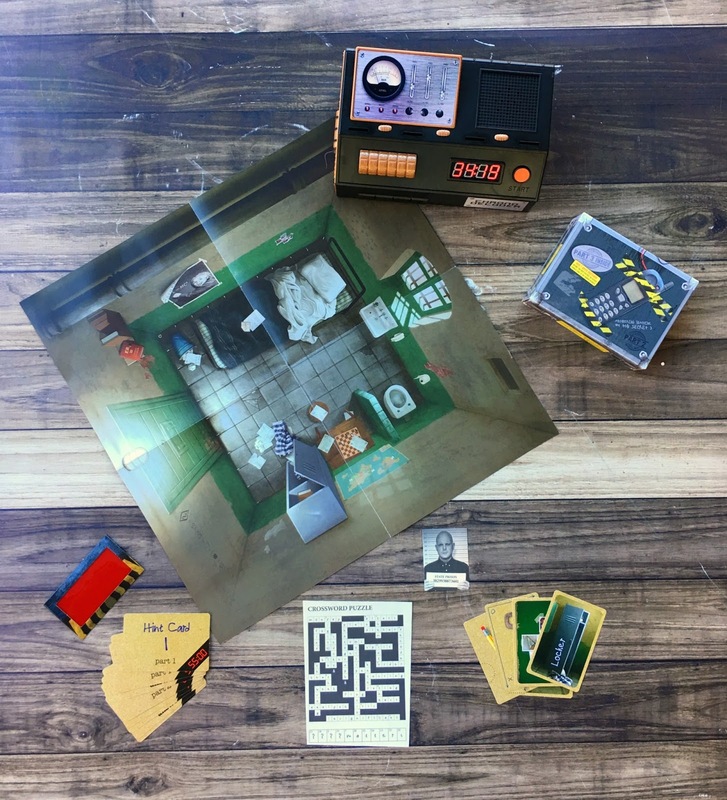 Escape Room, The Game, will bring thrill and mystery to your next gathering. It is the ideal holiday activity or gift for teens and adults ages 16 and older. 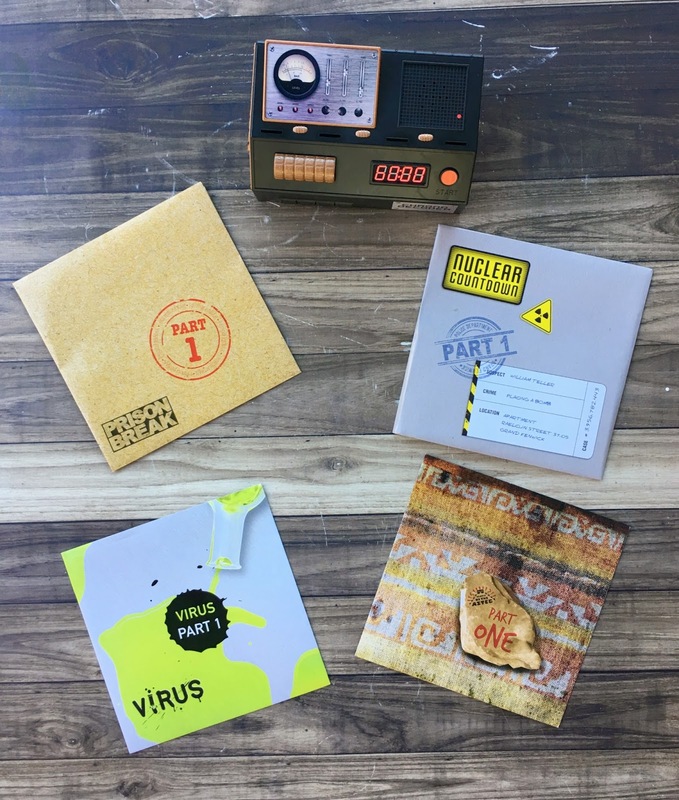 Prison Break, Virus, Nuclear Countdown, and Temple of the Aztec. 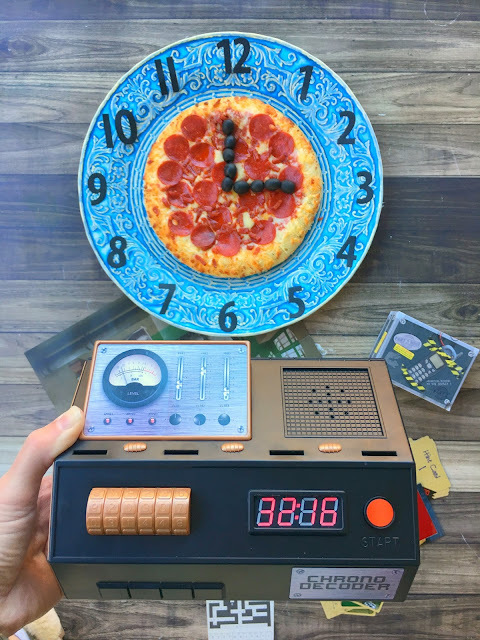 find hidden clues to break out before time is up. 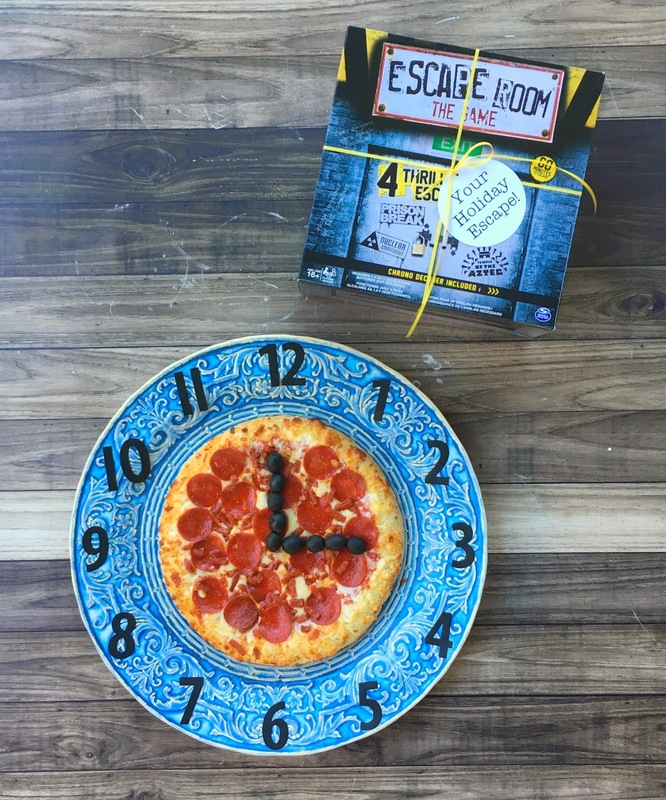 The Chrono Decoder counts down from 60 minutes and creates a real escape room atmosphere. 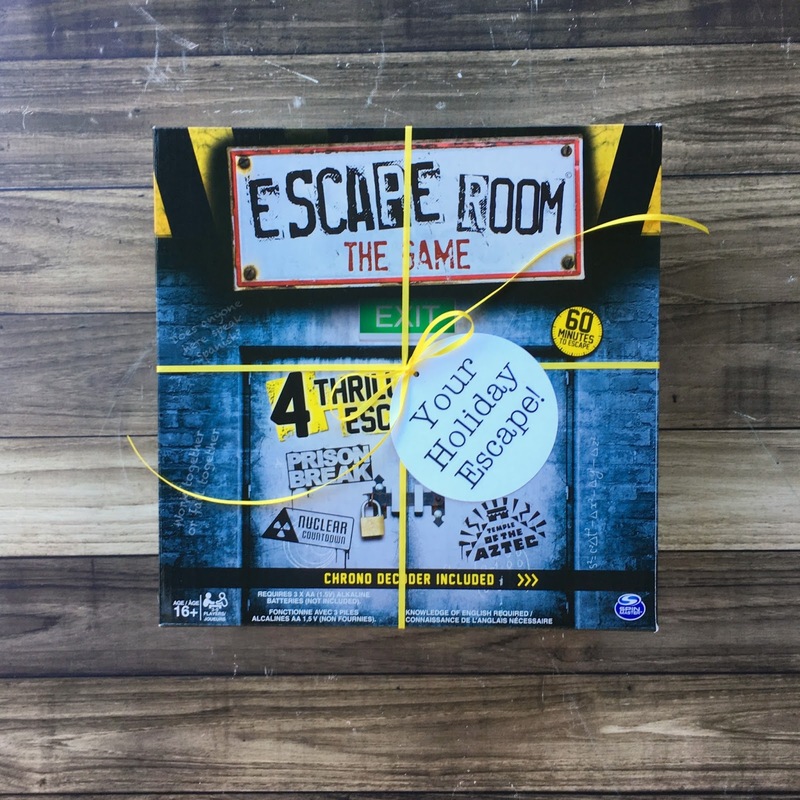 To further enhance the game and add suspense, you can download the free Escape Room app on iPhone or Android for thematic background music and even share a photo of your team. Of course, one of the most important aspects of the holidays is time. Who you spend it with, how to make the most of it, and often, how to slow it down. Time is also crucial in Escape Room, since one hour is all you have. I simply spent a few valuable seconds jazzing up a delivery pizza. (which was delivered right on time). 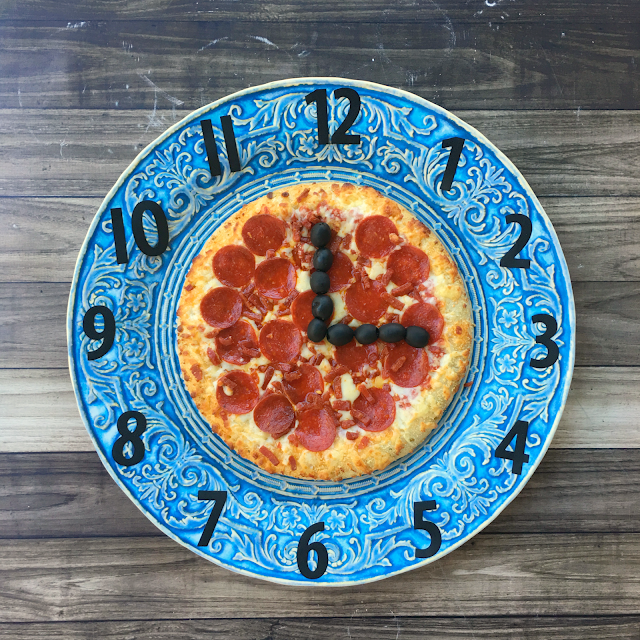 and I got my hands on black olives to mark the time. get your Escape Room here!